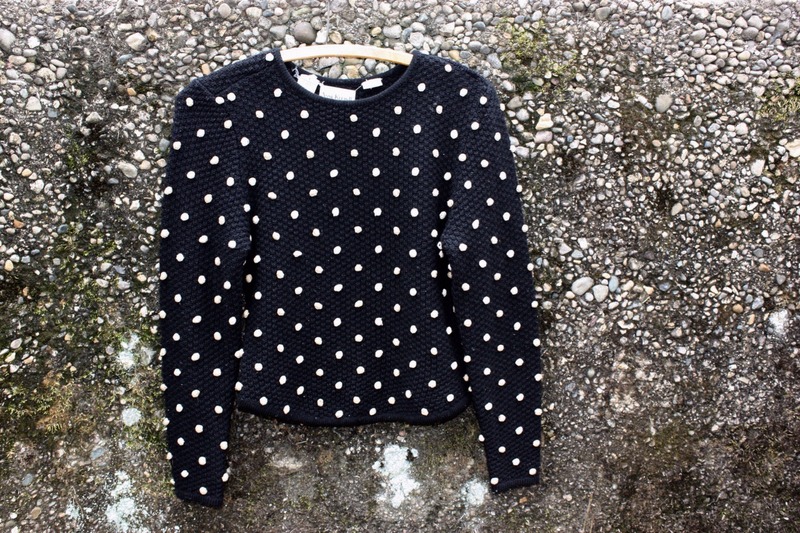 Black Knit Textured Sweater with Tan Raised Knot Polka Dots. 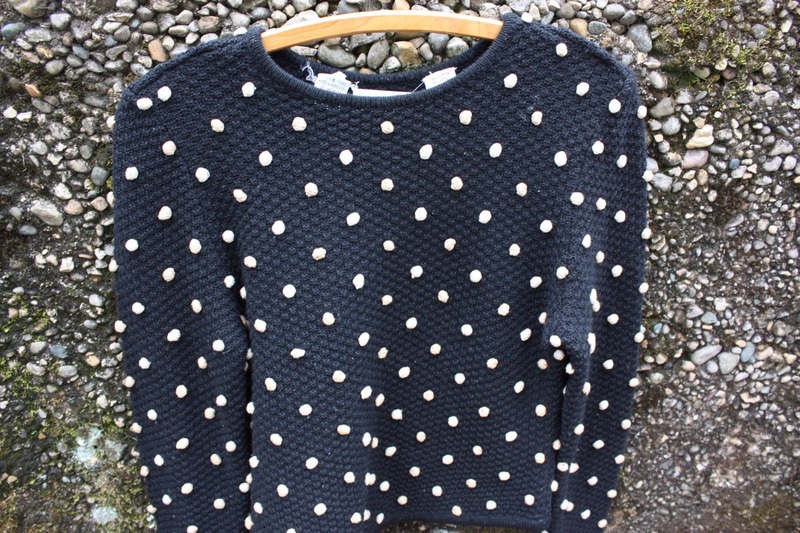 Beautiful textured black sweater with tan knot 3D polka dots. Long sleeves and waist that cuts a bit higher at the hips than the front/back. Made by Anne Klein II of 74% cotton and 26% wool. This sweater is soft and comfortable with amazing texture.